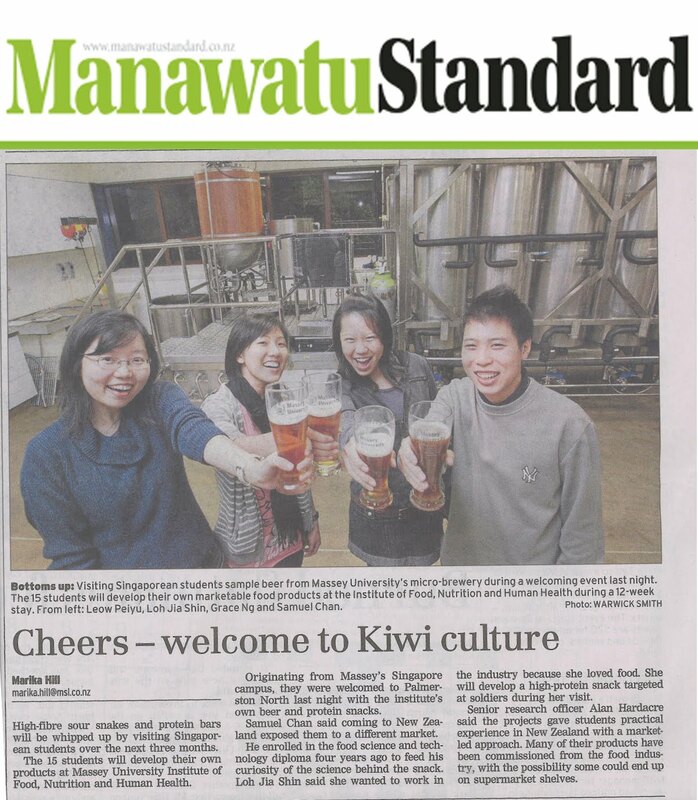 The Manawatu Standard is the daily paper for the Manawatu region based in Palmerston North, New Zealand with satellites in Feilding and Marton. Here is Natashya from Living in the Kitchen with Puppies round up on twisted bread. Check out the multi-post round-ups (Part 1, Part 2, Part 3 and Part 4) Natashya made. BreadBakingDay is a monthly event for passionate and to-be bread bakers and was started by Zorra of Kochtopf way back in July 2007. This month's theme of twisted breads is hosted by Natashya from Living in the Kitchen with Puppies. I have decided to participate in this event with a recipe that I have recently taught. Cranberries are full of antioxidants and are the "in" thing to use in baked goods these days. They can be use to substitute raisins, sultanas or any dried fruits in the recipes. Given its tartness and colour, it will make any product appetising! For this event, I will be sharing with you a Cranberry Almond Plait. Alternatively, you could also make them into buns or rolls. 1. Place all the ingredients in a bowl except butter. Knead till the side of the bowl is clean. Add in the butter and knead till well developed. Add in the conditioned cranberries. 2. Round the dough and rest for 2 hrs. 3. After resting, turn the dough bottom side up and punch down to flatten. Divide the dough into 15 X 60g pieces. Roll out each dough piece into rod shaped strands. Take 3 strands and plait (See Demo) and place the plaited dough onto a baking pan. 4. Proof the bread till double in bulk, approximately 1 hour. 5. Preheat the oven to 200C. Brush the surface lightly with Egg Glaze and sprinkle the top with Almond Flakes & Pearl Sugar. 6. Bake at 200C for 12 to 15 minutes until golden brown. Brush with oil when baked to give a glossy finish.